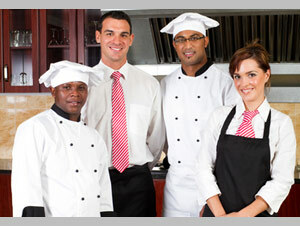 Personnel Plus Hospitality is a complete temporary help service specializing in Hospitality Work Management Solutions. We supply the region's top hotels, convention center, caterers, businesses, private clients, hospitals, restaurants and commercial foodservice operations with top quality back of the house staff. 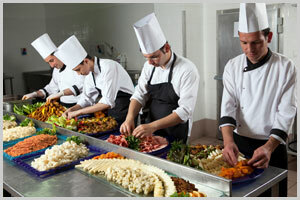 Why Choose Personnel Plus – Hospitality Staffing? Management - We know hospitality. The hospitality world is very specialized and unique. 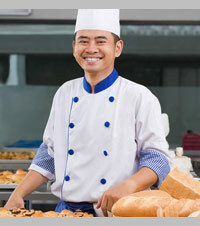 Many agencies claim to be able to staff for hospitality. But as the region’s largest hospitality agency, more hotels, colleges, hospitals, venues, and caterers use our staff than any other agency. This allows us to retain the top talent in the region because they know they will get consistent work. And by pooling the best talent from the DC labor market and the Baltimore labor market, we ensure that you get nothing but the absolute best when you choose Personnel Plus Hospitality. Resources - The scope and scale of our regional Company allows us to ensure delivery of our staff. Personnel Plus operates a fleet of 10 busses and vans. We know how important it is to have the right people arrive on time, every time. Personnel Plus can deliver large numbers consistently and with quality. With offices in Washington DC and Baltimore, we can recruit from a vast and diverse pool of hospitality employees. Experience - We hire and retain quality, experienced and skilled people. 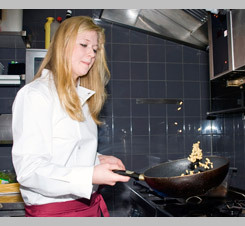 Our training programs and facilities are second to none in our industry. We understand our client’s needs and we have a proven track record of delivering quality, every time. Depending on the requirements, Personnel Plus uses a variety of screening techniques including background screens, physicals, drug screening, psychological testing and TB testing. We also utilize E-Verify to check the employment eligibility status of our employees.